Our clients choose WooloowinProperty Management to manage their rental properties in Wooloowin, because we provide a full range of property management services, including marketing, advertising, applicant screening, rent collection, resident management, and property maintenance. At Real Property Management Australia we provide comprehensive, reliable, and trustworthy Wooloowin Property Management Services at below-market rates. When you have an investment property, you want the finest in property management to protect your investment. Whether you are a single property owner or own a portfolio of Investment properties, we’ll effectively manage properties that include single-family homes, apartments, duplexes and townhouses. Our Wooloowin Residential property management company has many years of experience in property management processes to consistently meet our customers’ expectations while saving them time and money. We utilize proprietary systems to manage the entire process to ensure the highest probability of success in all facets of managing your asset. Our full-service property management services include maintenance, accounting, legal compliance, marketing, leasing, collections/evictions, inspections, and more. Please contact us to discuss your individual needs and discover why Real Property Management Wooloowin is the leader among residential property management companies in Brisbane. Wooloowin is a well-established suburb, which has seen strong growth in its median house price in recent years. 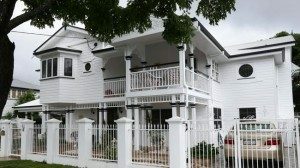 This growth has been due to the suburb’s distinct housing character of workers’ cottages and Queenslanders, which residents have been busy restoring and renovating. The suburb has its own railway station and retailers are close by at the Toombul Shopping Centre, as well as the Lutwyche shopping strip on Lutwyche Road. The Royal Brisbane Hospital is in close proximity, and there are a number of private and public schools in the immediate area. The suburb backs onto the Kalinga Park and Kedron Brook, which offer excellent open space, as well as walkways and bikeways. Wooloowin has excellent access to major arterials into the city, including the Inner City Bypass. It is also handy to the Gateway Arterial, which offers excellent access to the airport and the Gold and Sunshine Coasts. 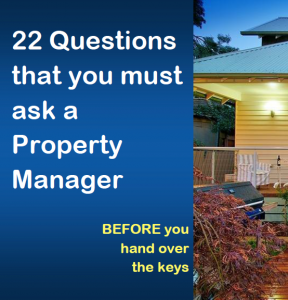 Real Property Management Australia are Wooloowin Property Management specialists.